10. Delicious Dining Options Are Available Nearby. Incredible Disney dining options are available for guests to enjoy at the Contemporary. Resort guests can enjoy an array of food styles and prices in any of the Contemporary restaurants. If you are looking for fine dining, a delicious cocktail or a savory quick bite to eat during a Disney park day the Contemporary has you covered with delicious options that meet any budget or time constraint. 9. The Luxury Level of the Resort. One of the selling points of the resort is quite simply the luxury level of staying at a Disney deluxe resort. Having incredible dining available in the resort along with childcare options, a spa and other vacation perks “up” the level of any Disney vacation. 8. Bay Lake Beach Activities are Available for Guests. The Contemporary is nestled on the shores of gorgeous Bay Lake. Guests can enjoy the view of the lake and Magic Kingdom from the comfort and shade of a cabana or get more hands on time by parasailing or taking a guided fishing tour on Bay Lake. 7. A Pool Designed for Fun and Relaxation. Heated pools with nearby hot tubs and a seventeen foot waterslide keep Contemporary guests entertained in their time away from the parks. Zipping back to the resort in the middle of a hot Orlando afternoon to relax at the Contemporary pool is a favorite activity for numerous resort guests. Soaking in the sun beside the pool that borders Bay Lake is a wonderful way to relax in the bustle of Walt Disney World. 6. The Monorail Thrill Factor. Resort monorail resort access is an incredible luxury that inspires guests to return to the resort year after year. Of course monorail access is convenient. However, the sheer thrill factor of having the monorail run through your resort hotel is pretty neat within itself. Taking a late night ride around Bay Lake as fireworks erupt overhead is unforgettable. Enjoying dining and drinking options on the monorail bar crawl is another guest favorite. 5. Great Souvenir Shopping Options in the Hotel. The Contemporary has some great resort shopping. Bayview Gifts, Fantasia and Fantasia market can be found near Chef Mickey’s under the monorail. Upscale Disney gifts, Disney clothing and toys and Christmas ornaments, apparel and other resort specific merchandise can be found at Contemporary stores. 4. Character Dining Options in the Hotel. Staying at the Contemporary comes with special convenience of being nearby a great character dining option, Chef Mickey’s. While this location may not seem like a huge advantage in the evening for dinner dining, guests enjoying breakfast with Mickey Mouse can really benefit from a low stress commute to the restaurant before a busy park day. Rousing little guests for breakfast with Mickey can happen a bit later if mom and dad have no need to stress about boarding resort transportation to arrive at the restaurant in time. 3. Top Notch Views of The Water Parade and Fireworks Views. An evening in, at the Contemporary is always incredible. The Electrical Water Parade that floats by Bay Lake is a fun filled way to pass the time as you wait on Magic Kingdom fireworks. It is true that trees block a bit of the fireworks show if guests are watching it from ground level at the beach. Regardless, listening to the gorgeous Disney music piped in during the fireworks show in the solitude of the evening at such a beautiful resort is incredible nonetheless. 2. Incredible Transportation Ease at Your Fingertips. Great transportation is a no brainer for Contemporary guests. 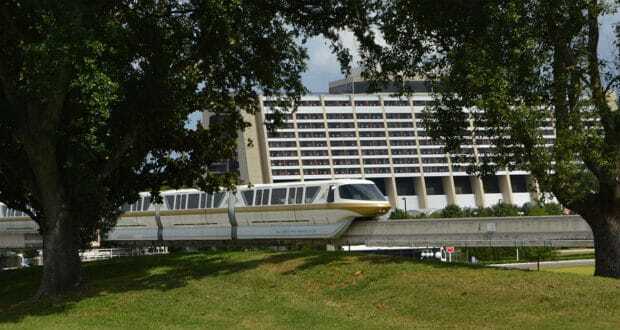 Access to the Magic Kingdom or Epcot is as simple as hopping on the monorail that runs right through the hotel. Walking access to the Magic Kingdom is another great way for guests hoping to log some extra steps to travel to the magic. Ferry access to the Wilderness Lodge and Wilderness Campground is available from the Contemporary for guests hoping to check out dining or fun activity options nearby. Bus access to Disney Springs, Hollywood Studios and Animal Kingdom is also available. 1. The Resort Oozes Iconic Disney Flair. As one of the original resorts designed with Walt Disney on the dream team the Contemporary is really something special. When people think of Walt Disney World resorts the Contemporary likely comes to mind. This resort designed to look fresh and modern has been an iconic Disney staple for years. The history and timelessness of the resort may be some of its best qualities that continually appeals to guests.